Go on, it’s practically good for you! 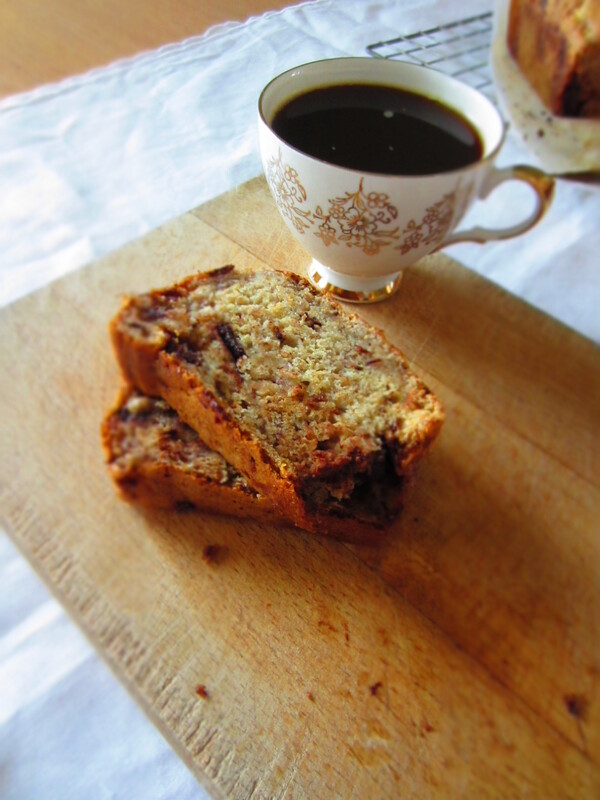 Sweet, sticky, gooey, this tea-time loaf is a serious crowd pleaser. Made from mushed bananas, honey, and rich dark chocolate it’s full of goodness, and lots of those thingys with complicated names. Antioxidants? Yess that must be it! Oh and honey is full of B Vitamins, and bananas are full of potassium (I actually revised rather a lot for my Home Economics exam as you can hopefully tell) So you see, it’d be rude not to.. Yet I was allowed this luxury a few days ago, and I awoke bright and early, sort of, and began a ‘pajama bake-athon’. Yaaay! Aww well, less cake for her meant more for my brother and dad.. a.k.a the human hoovers. 2. In another bowl, combine all wet ingredients. 3. Add wet to dry, and fold in gently, don’t overmix. 4. Add chopped chocolate pieces and fold in. 5. Place in lined or greased loaf tin, and bake at 180oc for 5o mins. *bread may start to brown on top, whilst still gooey inside, so cover in tin foil and continue to bake. 6. Leave to cool completely before serving. 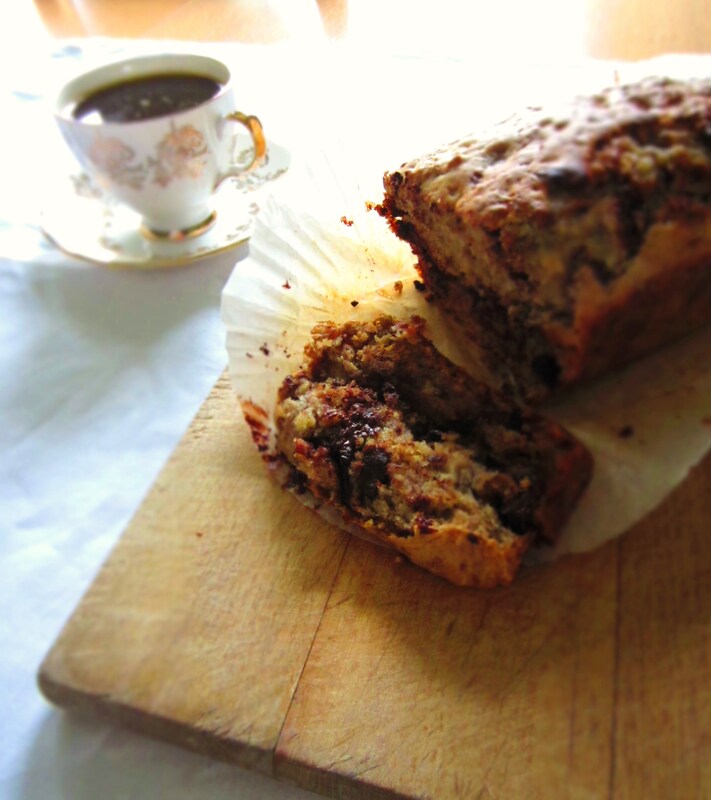 Enjoy with a slather of butter, or simply plain if you’re trying to be truly good, and sip with a cup of coffee!